The United Nations International Day in Support of Victims of Torture – is held annually on 26 June to speak out against the crime of torture and to honour and support victims and survivors throughout the world. Migrant Resource Centre Tasmania’s Phoenix Centre observes this day annually to acknowledge the survivors of torture and trauma. This year the Phoenix Centre’s Suicide Prevention Program facilitated an event supported by members of their Women’s Group and Men’s Group. 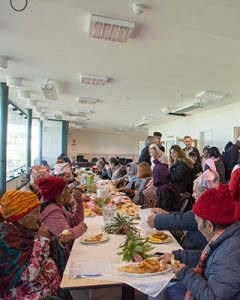 The members of the women’s group, ‘The Friendly Rose Women’s Group’, cooked traditional foods from Syria, Afghanistan, Burma (Karen) and Bhutan to share with the men, additional members of their communities, Red Cross workers, and Migrant Resource Centre Tasmania staff, bicultural workers and volunteers. Approximately 70 people attended. As the attendees gathered, guitars, drums and other musical instruments from the Men’s Group were provided and an impromptu sing-along and dancing began. Members from the Bhutanese community started off, with Karen and Sudanese people joining in. A spontaneous Karen anthem was also performed. MRC Tas welcomed everyone and acknowledged victims of trauma and torture world-wide, recognising that many in the room were survivors who have, as stated by Former UN Secretary-General Kofi Annan “endured the unimaginable”. A minute of silence followed. The delicious food was then shared with community members coming together, sharing recipes, sharing a table and sharing stories. It is days such as this that enforces the knowledge that a sense of connectedness and belonging holds such power in the fight to reduce depression and suicide. 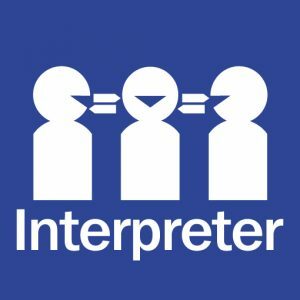 Do you need to talk to someone? Contact the Suicide Call Back Service on 1300 659 467 – free counselling available any time.